It takes a long time for me to decide to put down a book. I like to hope that it will get better as sometimes books don't pick up until half way through. I also keep reading for a while, analyzing why I'm not liking the book. Generally, once I start thinking that, it does make it hard for the book to pick up. For different reasons, each of the following did not get finished. I've liked other books by Richards, (see Hockey Dreams and Mercy Among the Children.) I actually tried to read this one other time, but didn't get past page 25, so I gave this try a much better effort. It really just never worked for me. Ultimately, this is a tragedy, with the lead character just so awful I didn't care to see his downfall. Alex Chapman is a hypocrite, and possibly deranged; the part I read set up his revenge filled mind by telling his life story. He was easily bullied, and then blamed everyone while teaching an ethics class. His hated uncle has a winning lottery ticket, and Alex hopes to get it for himself. I've read this described as a mystery thriller, but I never got the to mystery part. I know by the time I stopped, my hope was that Alex never got the money. I read the last few pages (thanks Jenny!) and was glad I didn't read any more. I recognize some similar themes with Mercy Among the Children, along with characters like the local priest, university types, innocent country girls, plus the Miramichi setting. Fans of tragedies, and moral studies may enjoy this one. I'm still a fan of Adams but not of pathetic tragedies. I didn't like Romeo and Juliet either. Another book that was taking forever for anything to happen and I just wasn't interested in keeping on. I kept falling asleep, and didn't like any of the characters enough to want to keep reading. I don't have anything particularly bad to say about this one, there are just too many books I'd rather read. Cody wrote Juno, the delightfully quirky movie, and won an Oscar for the screenplay. This was her account as a stripper in Minneapolis before she hit the big time in Hollywood. The whole book felt like she only tried stripping so she'd have material for the book. She seemed scornful of the other strippers, as if it was all beneath her. The chapters were short, and the writing was good and easy to read. I had just read enough of her faux stripping history. I've set this up in order to connect to all the wonderful bloggers that I've been meeting through reading challenges, starting with the Classics Challenge and now, too many challenges to mention. See the novel challenges link on the sidebar. I enjoy visiting other blogs, from link to link to link, and feel free to comment here. I'd love to read what you thought about a book I read. I'll always come back to visit you. I'm a mom to three kids, wife, and high school teacher who ignores the housework and plays on the computer too much, when I'm not reading. I used to run a lot more, but indoors is more fun these days; however, my waistline is beginning to protest. This blog is for all things book related: reviews, lists, memes, and anything remotely related to books. There are other things that I muse about at livejournal. Linda Holmes, of NPR, wrote a great article in the summer, in the middle of a Franzen fracas, about why chick lit is a bad title. If you recall, Johnathan Franzen's summer release, Freedom, was the darling of all the literati. (Admission: haven't read it, have no plans to read it, even though my Google Reader is full up of fans of his books.) Maureen Johnson also wrote a much linked article about the dearth of attention to woman writers, among other things. I so wish Carol Shields had been around to add her two cents worth, since I believe she had much to say about male/female writers and their books. In fact, she wrote about it in her last published book, Unless. In 2002. Reta Winters is a forty something writer, with every reason to be happy. Except, her nineteen year old daughter has suddenly dropped out of life, and is on a quest for goodness by begging on a street corner. Reta is given lots of comparisons about why this isn't so bad, but for her, it's everything. Shields starts the book off slowly, and I certainly felt the higher level of reading than I often read, but I felt stretched, in a very good way. With an author as the main character, there is lots of navel-gazing, and Reta even references herself as navel-gazing within the book, mocking herself for being an author and writing about writing. Part of the way Reta deals with her sadness and concern over her daughter, who she believes felt marginalized in a male dominated world, is to write letters pointing out the lack of female writers referenced in articles she's read. Unless is a big story of identification told in one woman's experience. Hey, isn't that what male writer's do? But when women do it, it's called chick lit or a story for women. When men do, they are describing the life experience and get awards. The best, or rather most infuriating part of the book, is when Reta's editor decides her sequel book should be a big 'literature' book. She'll just have to switch the focus from the female character's search for goodness to the male character's search for greatness. Yes, Carol Shields goes there. Rock on sister. Perfect book to start off Orange January a little early. Bonus points for me since Unless is nominated for Canada Reads 2011. I can't wait to hear this book debated in February. 1. Must Be A Novel. Works of fiction only, please. Memoirs, non-fiction, how-to books, and Garfield collections don't count. 2. Memoirs Aren't Novels. No matter how made up the story, anything ostensibly true isn't a novel. Also known as The James Frey Rule. 3. Start and Finish in January. I guess if you got some cool books for Christmas, Hanukkah or some other gift-giving event and jumped the gun, you can't be blamed. But I only count books I start and finish within the 31 day window. 4. Re-reading Doesn't Count. Try something new. Read something by your favorite author or try an entirely new author or tackle that novel you have always wanted to read. 5. Have Fun. Nobody is grading you or paying you or judging you. Read what you like and like what you read. Check out the Facebook Page as well. This will be my third year participating. It's the easiest challenge ever! Vasilly is the new host for the 2011 Graphic Novels Challenge, hosted on a dedicated blog. As always, the goal is to read graphic novels. There will be no mini-challenges this year, but there will be a monthly spotlight on one book or author every month, along with a guest post every month and with monthly prizes. For more information, visit the dedicated blog. To sign up, visit the sign up post. There are still a few graphic novels I'd like to read, so signing up for this will remind me about the books I want to read. King Leary won Canada Reads in 2008, and was previously awarded the Stephen Leacock Medal for Humor in 1988. It is a humorous look back on the life of King Leary, famous hockey player. Leary narrates the hard luck story of his early life, the awesome hockey player he was, and his friendship with two childhood friends. Lots of booze, lots of hockey, lots of old man reminiscing. Loosely based on King Clancy of the Leafs I believe, it was a classic "old man reminiscing book" - back and forth between present and past, present events bring up old happenings, and some weird coincidences keep the story moving. Leary was fun, and funny - he gets drunk on Canada Dry, and this was a good, Canadian read. I liked how he called the Maple Leafs 'the Leaves' and how he gradually comes to admire the newest hotshot hockey player. Manny Ozkean, his childhood friend, was a sad story of alcoholism, which just shows that there have always been young gifted athletes who waste their talents on addictions. Quarrington has a wonderful way with the turn of the phrase, which elevates this "old man reminiscing book," in my books. And that about sums up the experience. The book is divided into 3 sections: What the Everyday World is Telling You about Atoms, What the Everyday World is Telling You about Stars, and What the Everyday World is Telling You about the Universe. The idea is that Chown takes an everyday idea -how you see yourself in the window explains why, ultimately, things happen for no reason, and this can explain much about atoms. It's a neat idea, and I liked the first section , about Atoms, a lot, because it built on the knowledge I already have the most. If you were reading this to learn about science from scratch, I think it might be tough. But for someone with a basic science background, this would be a book to start with. I teach non quantum physics in high school, and didn't take a lot of quantum physics in my chemistry degree in university, so while I understand quite a bit, it's been a while.Plus it's been twenty years since I was in school! Theories have changed. Chown does a great job of keeping things simpler; however, there were sections that confused didn't explain everything I needed. The section About Stars was getting a bit beyond me. But I may have been getting tired. The last section, About the Universe, especially the section ending on Extra Terrestrial life, kept things more readable. Suey posted this end of year meme this week, and I just gakked it from her. Gak away! Best Book: Major Pettigrew's Last Stand by Helen Simonson. Worst Book: The Gate at the Stairs by Lorrie Morgan was one of the few books I didn't finish. Nothing offensive, just not interesting enough to keep reading. Most Disappointing Book: The Swimming Pool by Holly Lecraw didn't seem to match the blurb, so while I was expecting a mystery, I got family angst that wasn't even that angsty. Most Surprising Book: The Immortal Life of Henrietta Lacks by Rebecca Skloot. Nonfiction book that reads like fiction, which taught me a lot about biology, genes, and bad moral decisions. The Book Most Recommended to Others: Miss Pettigrew Lives for a Day by Winnifred Watson. Cutest book, and I really must get the movie to watch. Favorite New Authors Discovered: Catherine O' Flynn This was the only author I read for the first time, and then read a second book by her (The News Where You Are, and What Was Lost) immediately. Both were excellent. Most Thrilling, Unputdownable Book: Thirteen Hours by Deon Meyer. Police mystery over 13 frantic hours in South Africa. Looking forward to reading another in this series. Most Anticipated Book: Mockingjay by Suzanne Collins. Me and everyone else. Favorite Cover: Shiver by Maggie Stievgarer. I read the book because I loved the cover of the series. Didn't like the book as much. Most Beautifully-Written Book: hmm, can't really pick one for this, but I'm going to add best re-read, The Blue Castle, by LM Montgomery, because it needs to be somewhere on this list. Book you Can't Believe you Waited Until 2010 to Read: We Have Always Lived in the Castle by Shirley Jackson. Considering how great "The Lottery" was, which I read in high school, I'm surprised it took me this long to read another Jackson. New Favorite Book Blog You Discovered: Buried in Print, one of several new Canadian blogs. She writes insightful reviews, and reads such different books than I do. Favorite Review You Wrote: The Year of the Flood by Atwood. Also gets honorable mention as most beautiful cover. Best Book Event You Participated in During 2010: The Holiday Book Swap is always fun! I also enjoyed the Detectives Around the World, although now I know so many more mysteries to read. Best Bookish Discovery of 2010: In 2010, I really got back into mysteries, and I am glad for that. Over the years, before blogging, mysteries were my go to books. How about you? What books (or blog posts) would you plug into these categories? Merry Christmas to me! I received my Book Blooger Holiday Swap package at the end of last week from Jonita, at the Book Chick Blog. After I met her at her blog, and thanked her, she posted about getting her Book Swap package, from PEI! Those sneaky organizers almost did a true swap, but there are other bloggers on PEI. I know, because I sent my package to PEI. I almost hand delivered it, but thought that might be weird. We are hoping to have a meet-up soon. One of the things I like about the swap is I generally meet new bloggers, and, of course, the books! 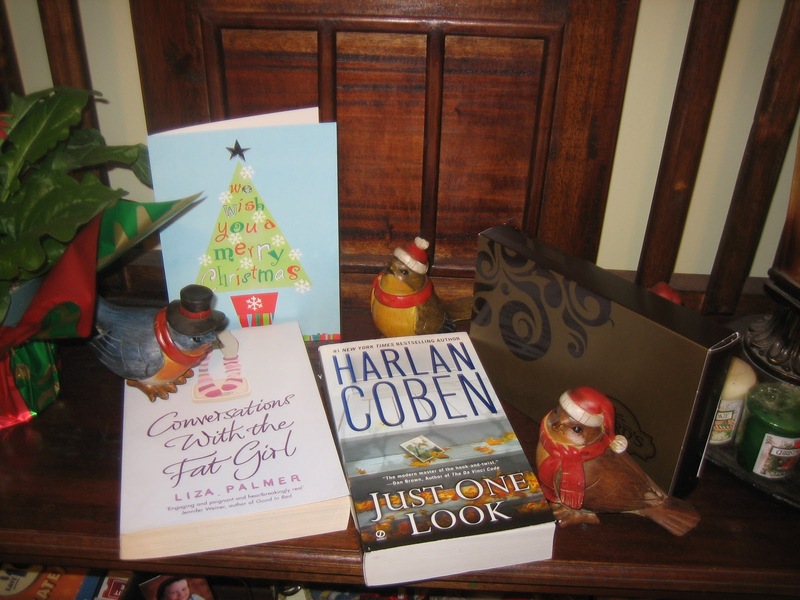 Jonita sent me two books that look really good - Just One Look by Harlan Coban, a mystery by an author I've been wanting to read, and Conversations With the Fat Girl, a chick lit book that looks cute. Jonita reads lots of chick lit, so I trust she sent me a good one. She'd know. She also sent a lovely card with a whole letter written inside, and some chocolate covered peanuts. Not individually covered, but little piles of chocolatey goodness. Now, these peanuts are locally grown in Ontario. Who knew we grew peanuts in Canada? I certainly didn't. I kept the box to photograph, but the inside of the box was polished off that night. I didn't want to share, and almost convinced my 13 year old son that he wouldn't like them. He backed off, then looked again, and asked why wouldn't he like them - they looked good. And he was correct. Picard's Peanuts. Mmm, mmm, good. Thank you so much Jonita, and Merry Christmas to you and your family! Some Christmas birds check out my Holiday Swap goodies! Three members of the dysfunctional Battle family: child psychologist mother Mo, almost 18 year old cranky Dora, and 16 year old Peter, who prefers to go by Oscar as he is channeling Oscar Wilde, narrate the story. Husband is never named, but is the glue with which the family sticks together. Oscar is hilarious, and I never got tired of hearing his part of the story. A wonderful character who dreams of owning his own smoking jacket. The main story revolves around the intern at Mo's office, Noel. Oscar develops a crush on Noel, who develops a crush on Mo. Dora narrates a large chunk of the story, and she is a very immature teenager, which a huge attitude and potty mouth, but since I spend my days in a high school, she is much more realistic than many would like to believe. And as selfish as she is, she is very much like Mo, and I'd say it's a family trait. Mo's mother Pamela appeared to be the voice of reason for all the characters, except Mo, who shouldn't be so surprised when her own daughter is so frustrated with her. Mo and Dora repeat practically the same complaints about their mothers. The book flowed along very nicely with a bit of a story. All the strands came together nicely at the end. There were sections where I laughed out loud in spite of myself. Oscar trying to buy his smoking jacket and Mo realizing how she has aged, were two particularly funny sections. I am not familiar with Dawn French, but I understand she is a British comic actress; this is her first novel. I would certainly read another book by her (her memoir, Dear Fatty). which makes me a Creamed Cracker. Awesome! I had already read 13 British books before I found this challenge. Thanks for hosting Book Chick City. 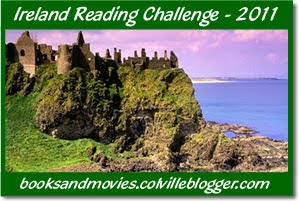 Carrie is again hosting the Ireland Reading Challenge. I'm so glad she decided to host again since I didn't participate last year, but I wanted to. I would love to read the Irish Country books by Patrick Taylor, plus a whole bunch others. Any books read for this challenge can also apply to other challenges you are working on. You don’t have to list your books ahead of time – just have fun reading throughout the year. Everyone who fulfills their challenge level and writes at least one review is eligible for the giveaway prize at the end of the challenge: a copy of Tipperary by Frank Delaney. I'm still not quite sure what to make of Yoshimoto's writing. It's easy to read, and her female characters are well written, but they don't make me fall in love with the stories. This is similar to Kitchen, in that there are two novellas on a theme of moving on, getting past the past, as it were. Hardboiled had a real creepy vibe to me, and I kept expecting something terrible to happen. It never really did, but I still felt there was much more to the main character than was revealed. Too many people dying, and her sense of time was weird; I could never tell when things had happened, and I'm not sure she could either. Hard Luck was the one I liked much better. A girl's sister is in a coma after a freak incident, and as the sister gradually falls farther and farther away from life, she deals with the impending death, along with her family. Nice look at grief and how different people deal differently. Physically, I like this book and it felt nice in my hands and was very pretty. I'm going to keep it, and maybe read again to see if the stories need to read again to be appreciated more by me. Welcome! Welcome! Be sure to visit other stops on the tour today: Tami @ Just One More Thing.. and the lovely Bellezza @ Dolce Bellezza. Also, since you are visiting here on Prince Edward Island, head up the road and visit Colleen @ Lavender Lines. Downtown Charlottetown is decorated with trees on every corner, the streetlights in Old Charlottetown are wreathed and bowed. Plus, Wintertide has huge lighted displays around downtown that are lit up at night, snowflakes and sleighs with horses, the three wisemen. Wintertide lights stay up from the end of November until early January, Old Christmas. Many people leave their (real) trees up and decorated until Old Christmas, January 5th, the 12th Day of Christmas. One year, the pick up of discarded trees was scheduled for January 3rd, causing letters to the editor and complaints that it was too early for old traditions. Pick up of trees was delayed a week. Province House, the birthplace of Canadian Confederation has an annual tree lighting ceremony to kick off the season. The stately building is beautiful both summer and winter, and is one of the lucky things we have in our small city and province. For a long time, we only had Sunday Shopping in the four weeks leading up to Christmas. In the last few years, starting on the Victoria Day weekend in May, Sunday shopping extended then until the last Sunday before Christmas. But then none until May! Last week, the legislature voted, in a tie-breaking vote, to have Sunday shopping all year. I think we are the last place in the world to allow Sunday shopping. Did you see a reindeer and an elf? Craft fairs are an annual tradition, and local fundraisers. Several schools host craft fairs almost every weekend in November where you can get anything you could possibly imagine - baked goods, homemade knitted goods, jewellery, tole painted objects, wreaths, photographs, toys, and books. Another catastrophe was averted this year. Early in November, the news said that bakers who provided baked goods at craft fairs should be baking in kitchens that had been certified as safe by government officials. Common sense prevailed; as as long as the food was low-risk, (no seafood or dairy) then bakers could bring their cookies and fudge to bake sales without fear of reprisal. Merry Christmas from Prince Edward Island, and me and my family. Canada Reads 2011 novels and defenders have been announced. I've previously read one (The Birth House by Ami MacKay, summer 2008), and had already picked up Essex County by Jeff Lemire from the library before it was announced. I have Unless by Carol Shields from the library now and am 7th in line for Best Laid Plans by Terry Fallis. The last nominee, The Bone Cage by Angie Abdou is not at the library yet, but I expect them to get all the books in soon, as the Canada Reads are quite popular. Lester is living on the farm with his uncle. He wants to be a superhero. He's dealing with life. Very cute and touching. I actually read this volume after I read volume 2, but I liked knowing who Jimmy LeBeuf was, and all his back story that is explained in Volume 2 as Jimmy befriends young Lester. Lemire included a comic book written by Lester, but was in fact credited at the beginning with a nine year old Lemire. It looked like an actual child's drawing, so I wondered. Such a great Canadian book! The country kids moving to the big city, the isolation of living in a city among so many people and yet being alone; plus the hockey. Does nearly every Canadian community have someone who played their one game in the NHL? Or someone who could have made the NHL, except. The second volume is much more involved than the first book, with the strained relationships between the brothers who played hockey. 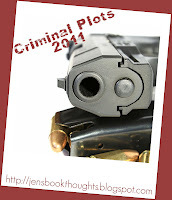 It covers a much longer time period and more involved plot. I never know how to describe the drawings. I am always impressed with how the authors of graphic novels are able to show so much of the characters and the story with their drawings, along with the written word. Lemire is no exception. I am looking forward to Volume 3, The County Nurse. 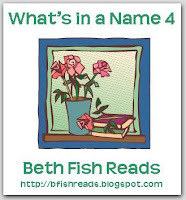 Bev Hankins is trying her hand at hosting her first reading challenge, and it's for mystery readers. 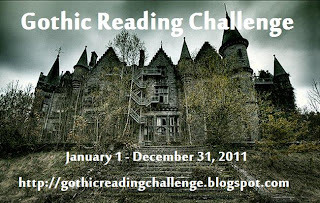 Introducing: The 2011 Vintage Mystery Reading Challenge. A challenge for all you mystery lovers out there who already love mysteries from the years prior to 1960 and also anyone who's ever thought, "I should give Agatha Christie (Dorothy L Sayers...Sir Arthur Conan Doyle...etc) a try." *Challenge runs from January 1, 2011 to December 31, 2011. Sign up any time between now and November 30, 2011. Head over to the blog for more information and to sign up. Here's the page for linking any reviews. I thought I would try In a Murderous Mood, but when I looked at the authors I'd like to read ( Agatha Christie, Ngaio Marsh, Margery Allingham or Dorothy Sayer) it appears I'm reading The Golden Age Girls.I especially like the name of that level. All the old characters are back, with the focus on a new family. It's been so long since I've read some of the books (Tara Road, Scarlett Feather, Heart and Soul) that some of the characters were a little vague, but that didn't diminish my enjoyment. Binchy writes smoothly, developing her characters, but with lots of plot and events. If you haven't read any Maeve Binchy, I wouldn't start here. It might stand on its own, but there are plenty of references to old characters and having that back story adds so much depth to the story. I flew through the book, and am pleased to enjoy this latest of Binchy's Irish novels. The sense of community and family she portrays is warming to the heart and makes me want to visit Ireland. It's time to start thinking about an Orange January! Will it be books from 2010's list, or into the older titles? Check out the Orange Prize Project blog for more ideas and the Facebook group for ideas and possibly prizes! 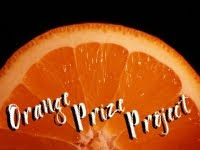 Every January and July, fans of the Orange Prize read all they can in celebration. The actual requirement is only to read one book. Why booklovers will love Inspector Espinosa? The furniture in his apartment consists of stacks of books around the room, often stacked to the ceiling. He wishes his Chief of Police job in Rio de Janeiro consisted of two jobs - and he wants the half that has the philosopher job description - just sitting and thinking about the facts and solving the crimes. Someone else can do the paper work and the meetings part of his job. Why I love the Inspector Espinosa mysteries? The Brazilian setting, in the Copacobana neighbourhood, just off Ipamena Beach, is exotic and real at the same time. I want to go! Police procedurals, with the occasional view of the perpatrator, keep me guessing and on the edge of my seat. Good team of detectives who work with Espinosa, with their own back stories, and great loyalty to their boss. Garcia-Roza writes a good local mystery, but also includes global themes, in this case, loneliness in a large city. How a person can live their life without contact, or very little, with other people. How you can live in the same neighbourhood and not know a person. Why I'm not happy after reading this mystery? My library has books 1, 2, and 7. I've read them all. I will have to request them to get the rest of the series. 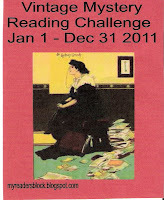 The Global Reading Challenge is being hosted again at DJ's krimiblog. I plan to repeat my effort this year, following Kerri's lead, of only reading mysteries. I really like reading mysteries set in other countries, and after this year, I've got mystery series from all over the world to keep up with. It's not necessary to only read mysteries; that's just my personal goal. You can chose Easy (one from each continent), Medium (two from each continent) or Expert (3 from each continent). From your own continent: try to find a country, state or author that is new to you. 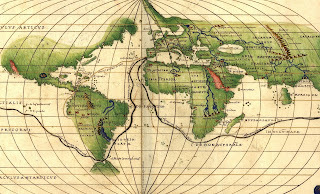 I think I'm going for Expert, but I am a little concerned about the Seventh Continent; may have to get creative. Here's my list of potential reads. I am working more on continuing series from many countries. Yann Martel started sending Prime Minister Stephen Harper a book, every two weeks, when Harper first came to power in April 2007. (Oh, dear, has he been PM that long? Sigh.) Accompanying each book is a letter from Martel. Martel is hopeful to get a response sometime (other than the 2 replies from Harper's assistants.) This book is composed of the first two years of their 'book club', but it has been continuing, since Harper is still in power, albeit a minority government that never seems to collapse. (The letters are actually posted on a website, so it is possible to read the letters without the book, but the book allowed me to read on the couch.) It would be nice to think that Harper has read a few of the books Martel sent. I do believe in some ways Martel is rather optimistic, because he isn't picking some of the easiest books to read, but he explains his rationale for each book in the letter.He does try to make them all relatively short, since he acknowledges that Harper is a busy guy. Notice how I subtly show my bias towards our Canadian leader; Martel is just as subtle in many of his letters. It is interesting to watch the progression of his letters, as Martel begins to lament some decisions, generally cuts to the Arts, of the Harper government. Martel also includes some history of books, rationale behind the importance of reading a variety of books, and some critiques of books as well. I particularly like how he sent him one of Michael Ignatieff's books. Ignatieff is the Leader of the Opposition who spent many years abroad, teaching and writing. He even has a Booker shortlisted book. Wouldn't Harper want to read a book by Ignatieff to get an insight into his opponent? I've read eleven of the books sent, including Maus, Animal Farm, Mister Pip, The Cellist of Sarajevo and Gilead, sent because Obama had mentioned reading and enjoying the book. There are some I've wanted to read, like The Good Earth, and a few I'd like to read after this book's recommendation, The Gift and Oranges are Not the Only Fruit.There is even a group at Librarything trying to read all the books sent to Harper by Martel. It has been a while since I've asked where reading is taking you. It'd be great if everyone played along, and shared where they are in reading (and in real life if you like). How has everyone been? I recently completed the (lowest level possible) Young Adult Reading Challenge, and will post this wrap-up with a few final reviews of a couple of books. I read 7 of the books I had originally put on my pool of books in my sign-up post and someday, I'll get to the rest of them. Thanks to J Kaye for hosting, and I'm heading over to link my wrap up post at her site. I keep trying paranormal type books, since they are so popular, but I just don't see the what the fuss is about. This was okay, about werewolves, and I really liked the legend and background of how they live, and how they could conceivable live, but it doesn't make me want to keep reading. I had high hopes for this one, as I was judging a book by its cover, as it is gorgeous, and the next two books in the series are similar, with different colours, and they really appeal to me visually. But alas, not enough to read the next books. It was an enjoyable enough read, with teenagers on the loose, fascinated with werewolves, and the characters were fine, just not my style. This was a wonderful little book I heard mentioned somewhere on the blogosphere, maybe in relation to the YA Dystopian challenge at Bart's, but whoever mentioned it, thank you. A super slacker student in a fancy New York private school is assigned a project on infectious disease. He reluctantly gets interested in small pox, and then accidentally inhales an old, dried up small pox he found in an extremely old medical text. The book takes off from there, as he tries to decide what to do, when doing much of anything really isn't his style. But is he infected with small pox? The idea of a small pox epidemic in post 9/11 New York City provides a scary background to tell this story, and forces our main character to do some serious thinking and research. I was on the edge of my seat, (note I am counting it for the RIP V Challenge as well) and found the characters realistic and modern, with cellphones and internet a part of the teenagers' life. I gave it to my 13 year old son, who also enjoyed the book. I'll look for some more Caroline B Cooney books at the library. Code Orange was a great find. Best book on this list: Paper Towns by John Green had the funniest road trip I ever read. Other good reads were When You Reach Me and Code Orange. I read two of the Chaos Walking series, and even had the last one here, Monsters of Men, but couldn't get going in it. Maybe another time I'll get it from the library. Hurry if you want to take part in the Book Blogger Holiday Swap- the sign-ups end today. Check out the details at the blog. I've participated the past two years and loved the experience. It's fun to buy for someone else, and just as much fun to receive, especially from another book lover. In other Christmas/Holiday events on the blogosphere, the Advent Tour is taking sign-ups as well. This is a great way to meet some new bloggers and learn about different holiday traditions. One of my favorite posts ever was Suey's video of the reading of the Christmas story, with a few rogue children and the mother who soldiers on, determinedly ignoring the chaos around her. Hilarious! I have two of these reindeers that I set out at Christmas. Gorgeous! I love the green ribbon around them. My date for the advent tour is Tuesday, December 7th. Hope to see you then. Oh Mr Sacks, you sum up what happens to me all the time, and this book does get a person thinking. How do we see? How do we read? Is listening to a book reading? Is reading someone's lips hearing? Sacks delves into this world of perception and senses, providing case studies of some very unusual people. I liked how the people, for the most part, adapt to their situation. Losing, or gaining, a sense (or even just an aspect of a sense, like recognizing faces) causes the brain to adapt and fit the new experience into existing pathways of the brain. Much of the book is quite scientific, referencing studies, and since this isn't my area of expertise at all, I found it a bit deep at times. Being very familiar with the brain sections and its specialties would have helped; but not knowing didn't diminish my interest. Personally, the chapter on stereo vision was most interesting. I see only with one eye, my left eye is so weak, it never learned to see together with the right eye, a necessity for three dimensional vision. My left eye provides a bit of peripheral vision, but it's quite useless. (But cheaper, as I only need one contact.) So, this means I can't see 3D movies at all. I can, however, drive as I've always viewed the world in 2D, or flat and that is my experience. Just as perspective can be deduced in a picture, so too can I tell mostly where things are - near or far. The woman in the book who regained her stereo vision after 40 years without it, had the ability as a child. Her brain had the neural pathways to be 'awoken' so she could see a new way. Alas, I never will as I never had that capability in the first place. A large portion of the book is Dr Sacks personal journal as he undergoes a cancer in the eye which leaves him without his 3D vision. Combined with his own experience of not recognizing faces and he appears to be one of his own best patients.I liked when he related his patients problems to his own, but his ability to microanalyze things he saw astounded me. Perhaps that is why I am not a neurosurgeon or neurobiologist. Sacks has other books, similar I believe, that I would be interested in reading: His memoir Uncle Tungsten, along with Musicophilia, The Man Who Mistook His Wife for a Hat, and An Anthropologist on Mars. He references these books throughout The Mind's Eye. Sacks is also the doctor, and wrote the book, that the movie Awakenings was based on. I loved that movie, and deNiro and Robin Williams in it. We, or maybe I, often believe that other people perceive the world much as we do. Reading this book has opened my eyes to experiences that I couldn't even imagine, like losing the ability to read, but still being able to write. Others certainly can't envision the flat world I live in. The complexity of the brain to adapt, adapt, adapt is inspiring and overwhelming. Do you read war stories? Fictional ones? Histories? Suey posted a top 10 list of her favorite war stories, and as I commented on her post, I realized I had enough war stories to make a post of my own. I couldn't limit it to 10 either. I guess I mostly read fictional war stories set in real wars. I didn't include imaginary wars, like in the Chaos Walking series. More of a view of the Canadian homeland during the war, the Great War is a backdrop to the last of Anne's stories, as her children are living through it. One of my favorite in the series. Not so much about the war, but England in the early 1930s is still full of characters dealing with the repercussions. Large flashbacks put the reader in the trenches in France. For those who like their war stories told in a slightly lighter tone, but still dramatic and utterly charming. Has anyone not adored this book? A backwards look at the lives of several people during the Blitz in London. Great characters and unique look at life in London. Lisel is the star, but Death narrates. Death was busy in Germany during the 1940s. A graphic novel memoir by the son of a Jewish survivor from Germany. One of the fist and perhaps best of Oprah picks. I loved this story of a little person surviving in Germany. 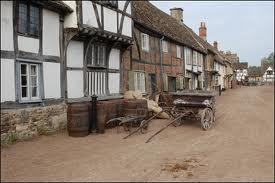 Also showed what life was like in Germany for everyday citizens trying to survive as well. The background of Nemirovsky adds to the drama of this story written during the German occupation of France. Nemirovsky died before the war ended, which makes the stories she wrote even more dramatic. For those who like thrillers, Furst sets this story in Greece, but helps Germans escape Germany throughout Europe. Furst writes many WW2 thrillers so this is just one of many of his. What is it like to live in an occupied state? A British couple starts their married life on the occupied island of Cyprus. More of a study of a marriage and the small wars within it, even small wars in the world have large repercussions for their inhabitants. Nonfiction account of a child soldier in Sierra Leone. The Biafran war and all the atrocities of war are woven within one family and how war tears so many people apart. Have you read any of these? Which are your favorite war stories? I feel like there are some books I've forgotten, especially about World War 1. This is another of the books I read about at Kerrie's Mysteries in Paradise during her write up about the nominees for the CWA International Dagger during the summer. Two of the nominated books (Hypothermia by Indridason and August Heat by Camilleri) are from two of my favorite mystery series. The Girl Who Played with Fire, second in that well known series, was also nominated. When I saw three very excellent books nominated, it certainly drew my attention to the other three books. I liked The Darkest Room earlier this month, but with Thirteen Hours, I have found a new author and series to follow. This was excellent! Inspector Bennie Griessel works in Cape Town, South Africa. When he is awaken early one morning to investigate a murder, he has no idea how crazy his day will become. The first murder is a young American tourist, and the police quickly discover that her friend is running, running and being chased by these murderers, a group of young men. Bennie has recently been assigned to mentor some young detectives, so he doesn't even get to run the investigation, just advise. Before they can get too far, Bennie is called to another murder, with another detective to mentor. The rest of the book follows real time, for the next thirteen hours. The plot is tight and fast, switching from both investigations, along with the girl who is being chased. This back and forth action keeps the pages turning. Meyer deftly juggles all the characters and action, and has written characters with many layers and motives. Bennie is celebrating six months sobriety and is hoping for the return of his family after losing them from his drinking. The mentor detectives have their own issues and strengths. Apparently this is the second novel in the series about Bennie, but I had no trouble following the story or characters. If anything, I want to read the first even more, Devil's Peak. It is most like a police procedural, a type of mystery I always enjoy. Modern South Africa, with its racial conflicts provides a fascinating setting for this great mystery series.